Nicole Richie has been seen wearing a pair of flat gladiator style sandal the past week. 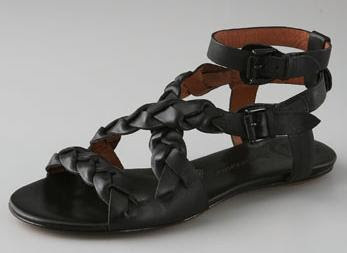 These sandals are by Modern Vintage. You can purchase them from Shopbop for $225 and they are available in black, purple and sand.